Stock investors could have at least one less worry in the next earnings period: the suddenly limp U.S. dollar. 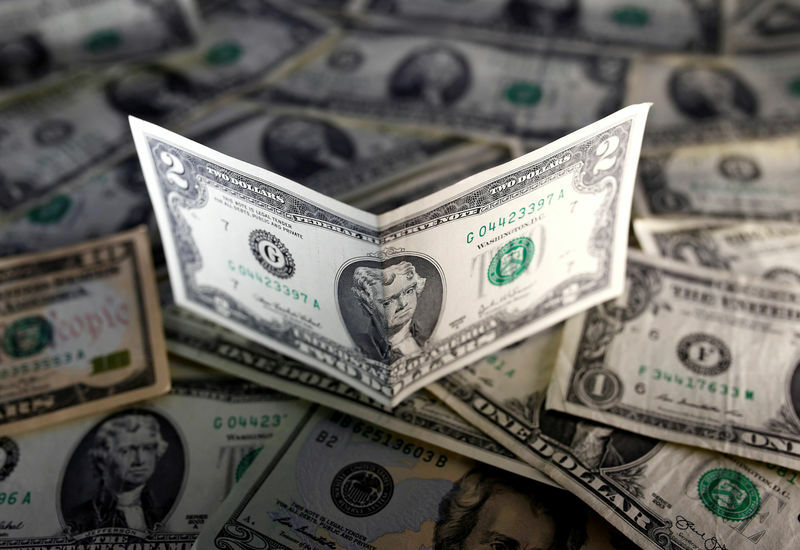 The greenback, whose strong rally after the Nov. 8 U.S. election hit profits at many U.S. multinationals in the fourth quarter, has had a sharp reversal since the start of the year. Coupled with comments suggesting that the Trump administration favors a weaker currency, that could shift the picture for the current quarter. Fourth-quarter results, even with the dollar’s drag, are mostly beating Wall Street’s expectations and helping provide a buffer to some of the uncertainties facing investors, including the new U.S. president’s policies. The S&P 500 (SPX) ended with a slight gain for the week. With earnings in from more than half the S&P 500 companies, year-over-year profit growth for the fourth quarter is now estimated at 8.0 percent, up from 6.1 percent forecast at the start of January, and on track to be the strongest since the third quarter of 2014, according to Thomson Reuters data. Analysts expect first-quarter earnings to rise 11.5 percent. That “sets the stage for a stronger Q1, particularly when you look at the jobs numbers coming out and when you look at the business confidence surveys and consumer confidence surveys. There’s a lot of improving sentiment,” said Brad McMillan, chief investment officer for Commonwealth Financial in Waltham, Massachusetts. U.S. nonfarm payrolls had the largest increase in four months in January. The dollar index (DXY) on Jan. 31 posted its worst start to a year in three decades, putting in a decline of 2.6 percent for January after gaining 7.1 percent in the last quarter of 2016. Comments this week by President Donald Trump and a top economics adviser suggested to some that the administration is prepared to jettison two decades of “strong dollar” policies advocated by predecessors. A strong dollar is a worry for equity investors because it makes U.S. multinationals’ foreign currency earnings worth less in dollars. Nearly half of S&P 500 sales come from overseas, according to S&P-Dow Jones Indices. Executives from a slew of U.S. companies cited the strong dollar as a negative in their fourth-quarter reports and also concern about its effect on 2017 results. Among them, Apple (O:AAPL) gave a cautious outlook for the current quarter that it mainly attributed to the strong dollar, despite its upbeat fourth-quarter results. “For a company like ours where we do about two-thirds of our business outside the United States, the strong dollar presents a headwind of more than 2 percent growth,” Apple Chief Financial Officer Luca Maestri told Reuters. Other companies citing currency hurdles for the last quarter or for 2017 included Procter & Gamble (N:PG), Mead Johnson Nutrition (N:MJN), 3M Co (N:MMM) and PPG Industries (N:PPG). Procter & Gamble said it expects combined headwinds of foreign exchange and minor brand divestitures to cut sales growth by two to three percentage points for fiscal 2017. Some strategists say the dollar is still likely to be stronger rather than weaker this year, especially given expectations for interest rate hikes for this year, but that earnings should still benefit from an improving economy. “You should get more than enough growth from the economy if you’re a corporation to more than offset the rise in the dollar,” said Sameer Samana, global quantitative strategist for Wells Fargo (NYSE:WFC) Investment Institute, which expects the dollar index to rise 7 percent by year end.